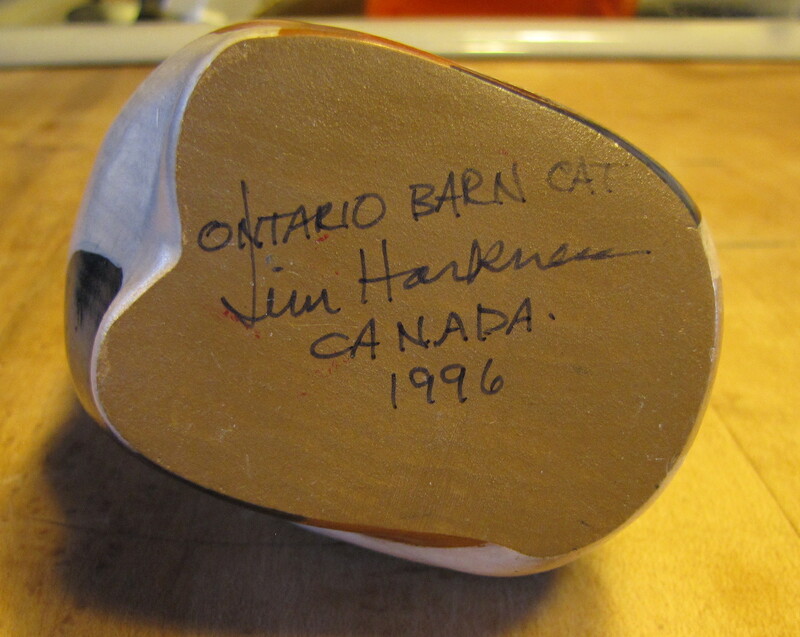 A carving by Jim Harkness of an Ontario barn cat. 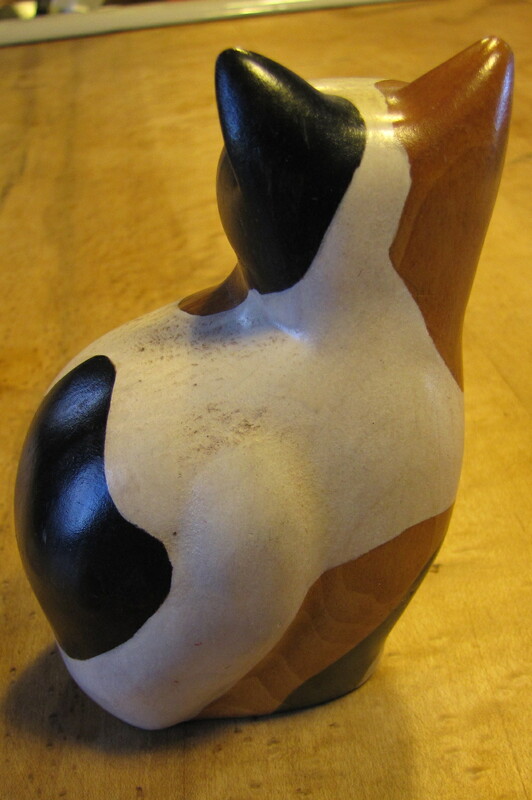 It is 4 3/4" tall. 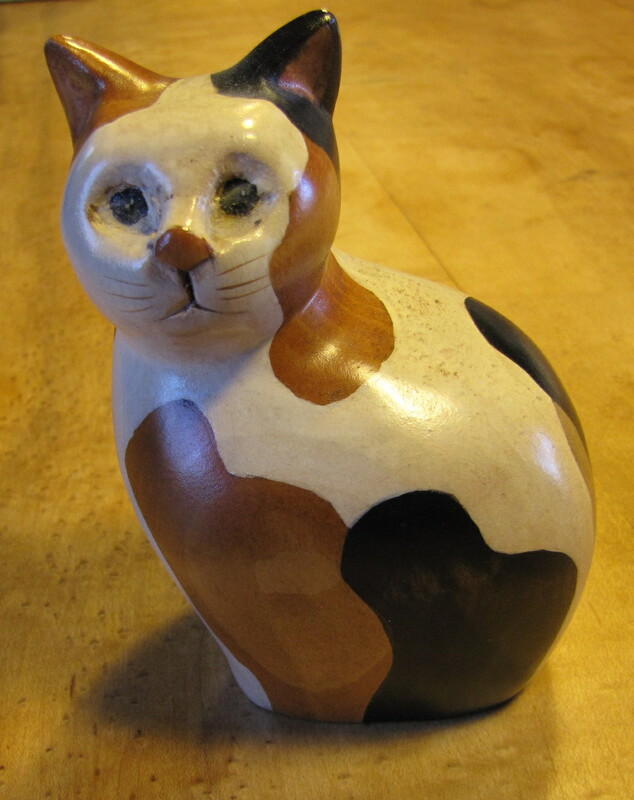 The look on the cat's face typifies the catism "I am not blocking the view, I am the view".